What are Your Industry's Particular Coal Needs? Industries have different needs when it comes to coal specs, inventory issues and terms. KISPL understands your coal import requirements. Choose your industry sector below to find out how we serve you better. power . . . . . . . . . . . . steel . . . . . . . . . . . . . cement . . . . . . . . . . .
KISPL serves you at every stage of Advisory and Execution Services. Get a quote right away. 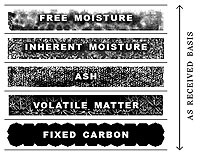 Phosphorus Should be avoided in coking coal because it accumulates in the hot metal and gives undesirable properties to the resultant steel. Can also create problems during coal combustion by the formation of hard phosphatic deposits Iinside boilers.